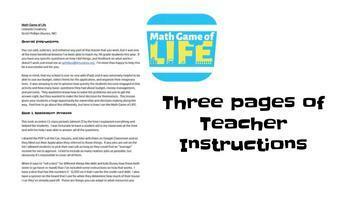 This Math Unit is as REAL LIFE as you can get! 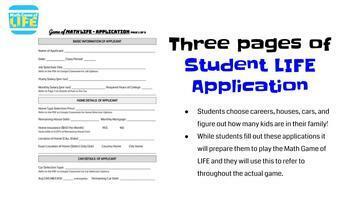 Help kids fill out their "future" LIFE application where they choose a career, a house, a car, and find out how many kids they end up having. 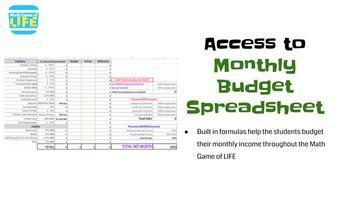 After some real world calculations they'll figure out how much money they make per-month (after taxes) they'll balance their monthly budget using an actual spreadsheet with pre-made formulas. 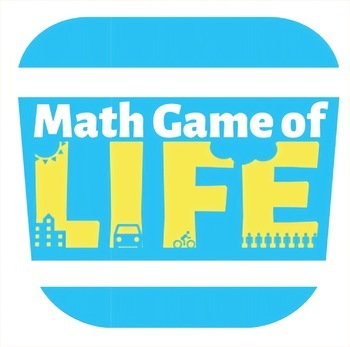 Once they've completed the outlook of their future lives they'll play the Math Game of LIFE with groups of (up to 4) other students. This mini-unit is packed full of real life math discussion and is wonderful for your students to realize not only how to work with percents, but it will also answer that question "teacher, when will we ever use this?". As always, please email me at sphillips@4rhuskies.org if you have any questions or concerns regarding this unit. Have fun!